Home Uncategorized Custom Puppets As Fundraiser? We have been very fortunate to work with custom puppet “engineers” here at Project HAND UP. They had designed and built our animal puppets when we first launched. When we began our charity in tandem with the project from the Rotary Club of DeSoto, the District Governor Elect of District 5810 came to visit our office. Now it must be noted that our DeSoto storage/office is rented from inside the puppet factory. The factory had space nearby and we needed a few dozen square feet to run operations. Immediately the DGE saw what the folks around here were capable of doing and requested to have a custom puppet built for the outgoing District Governor, as a gift. The outgoing District Governor, Ean Sullivan, runs a Christmas lighting business in Dallas – and also appears as Santa Claus – and as a result the District Governor Elect also asked us to have a Santa outfit made as well. The result was a fully operational, TV and live performance ready professional puppet. 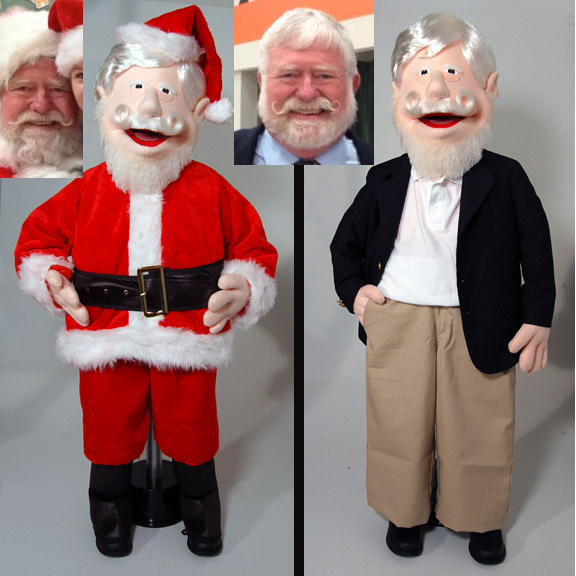 This custom puppet can also be used for ventriloquism – but mostly it takes up vital real estate in the PDG’s office. The following year, the next District Governor Elect had one made for the outgoing governor as well. Profits went to the Project HAND UP HIV and AIDS education project and a fundraiser was born! It seemed inevitable. We created a process and now anyone can purchase a custom built professional puppet with the likeness of anyone they want! Profits go to AIDS education in Kenya. Are you interested? 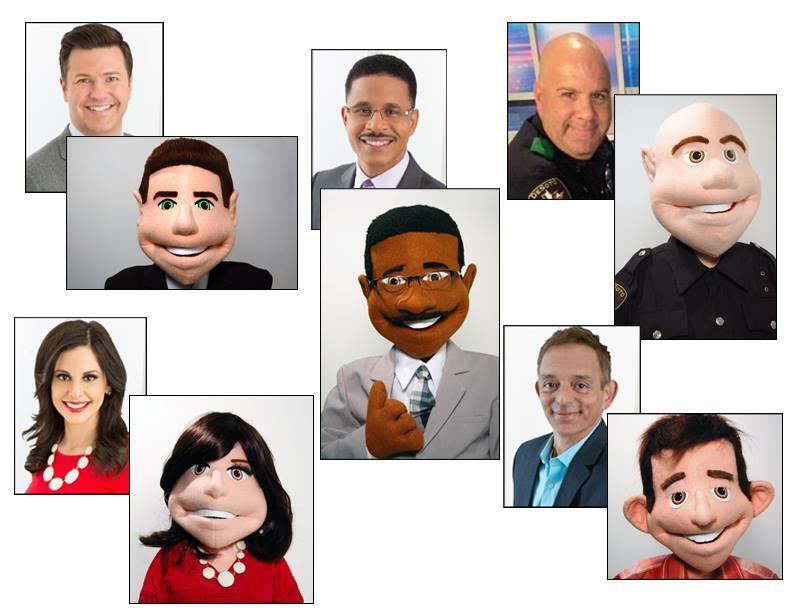 Check out the options for having a custom puppet made right here: Order a custom puppet here!